But to be honest, I was very hesitant to put this page up initially, coz I didn’t want to sound like I’m “lifting my own chair.” But I just really wanted to show the people who gave me these awards that I do cherish and appreciate what they gave. 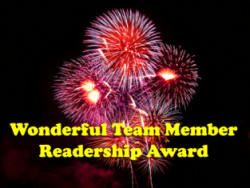 The Wonderful Team Member Readership Award was given by Dhriti of Blogging Vogging last 13th August 2013 via this page. 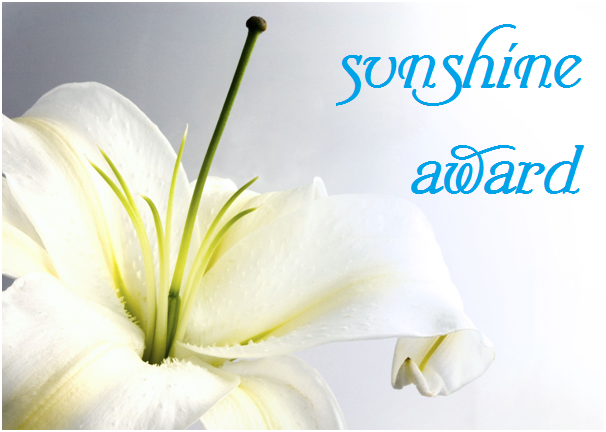 The Sunshine Award was given by petrel41 of Dear Kitty.Some blog. Given on 7th May 2013 via this page. 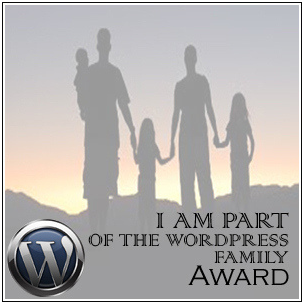 The WordPress Family Award was given by Sonel of Sonel’s Corner. Given on the 22nd of April 2013 via my post WPC: UP. 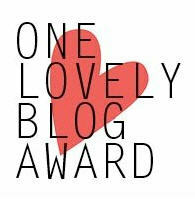 One Lovely Blog Award was given by Petrel41 of Dear Kitty.Some Blog. Given on 17th July via this page. The King of Kings Award was handed over by Marcy King of Orples/How Orples Came To Be and Other Interesting Stuff. Given on 8th of April 2012 via my post WPC: Journey. Thanks, Marcy! 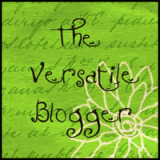 My 3rd Versatile Blogger Award was given by Ann Novek of With The Sky as the Ceiling and the Heart Outdoors. Given on 21st March 2012 via my post WPC: Unusual. Thanks, Ann! My second H.U.G. Award was given by Dr. Sherry Showalter of Keepin’ It Real. The award was given on 15th March 2012, through my post Who I Am. Thanks again, Dr. Showalter. The “Very Inspiring Blogger Award” was given by Dr. Sherry E. Showalter of Keepin’ It Real. Given on 10th March 2012 via my post Who I am. Thank you, Dr. Showalter! The Kreativ Blogger Award was given by Arindam of Being Arindam on the 3rd of February 2012. Arindam is from India. Given through my post WPC: Hope. Thanks Arindam! The HUG AWARD was given by The Island Traveler of This Man’s Journey. Given on the 26th January 2012 and was notified about the award through my post Who I Am by the award founder Connie Wayne. Thanks, Island Traveler and Connie! This Year of the Dragon logo was given to chosen bloggers by Jake of Time After Time through this POST. Given last 23rd January 2012 through my post WPC: Simple. 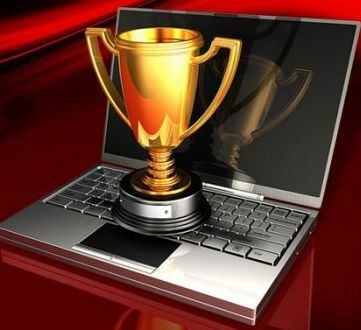 The Creative Capture Blogging Award was given by Just Ramblin’ Pier on the 23nd of January 2012. Check out info about this award HERE. Notified about this award through my post WPC: Simple. The Candle-lighter Award was given by Cee Neuner of Cee’s Life Photography Blog. The nomination can be checked by clicking this LINK. Given on 2nd January 2012 via my Who I Am post. Thanks, CEE! Liebster is a German word that means beloved or favorite. The Liebster Blog Award was given by Jake of Time After Time. His award post can be checked HERE. Given on 20th December 2011 via the post Weekly Photo Challenge: Self-Portrait. Thanks, JAKE! My second Versatile Blogger Award wad given by Sony Fugaban of Stories of My Wandering Feet (& Mind). Given through this POST on 9th October 2011. Thanks Sony! This Versatile Blogger Award was given by Linda of Shoes for an Imaginary Life. The award was posted on this LINK. Given on 18th March 2011 via my post Weekly Photo Challenge: HOME. Acceptance post HERE. Thanks, LINDA! 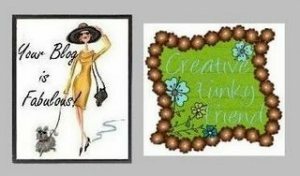 The Creative Funky Friend Award was handed out by Donna Belle of More Than Meets the Eye. Given on 10th of March 2009. Acceptance post HERE. Thanks, DONNA BELLE. Welcome to WordPress! Hope to see more of you around! You’re welcome . I like your blog as well. Be safe always. This continually amazes me just how site owners such as your self can find some time as well as the commitment to keep on creating terrific blog posts. Your site isexcellent and one of my personal must read blogs. I just needed to thank you.